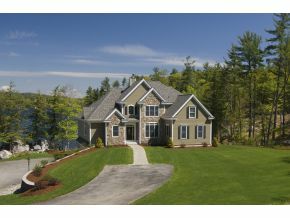 Lake Winnipesaukee, Alton NH Stunning 10 room contemporary with 4 bedrooms and 5 bathrooms on a large private lot with great landscaping and great views. Custom built home with true attention to detail throughout, gorgeous woodwork & trim, a gourmet kitchen, home theatre, speakers system throughout, heated garage, beautiful exercise room/family room on the lower level, large deck overlooking the lake, upper parking area has room and electricity set up for an additional building. Very private setting with 4.5 acres and 445 feet of frontage it is truly one of a kind. Listed by Coldwell Banker. Enjoy your evening in front of the fireplace before enjoying your day skiing at Gunstock Ski Area only 15 minutes away or get on your snowmobile for a ride over to Wolfeboro or Moultonborough. With over 42,000 acres on the lake you can explore the lake for months and not find all the swimming and fishing spots. My boat is set up for salmon and lake trout fishing, I would say the best in NH. 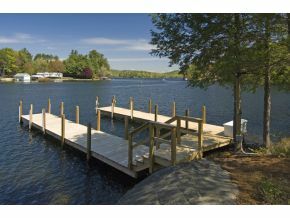 You can boat to some of the best restaurants in the lakes region or head over to Meadowbrook for an evening concert. Winnipesaukee has it all.